Tracking baby movements on my mobile phone was a must for my quantified self project. I tend to be out and about a lot, so I wanted a really easy and convenient way to record when my baby kicked. 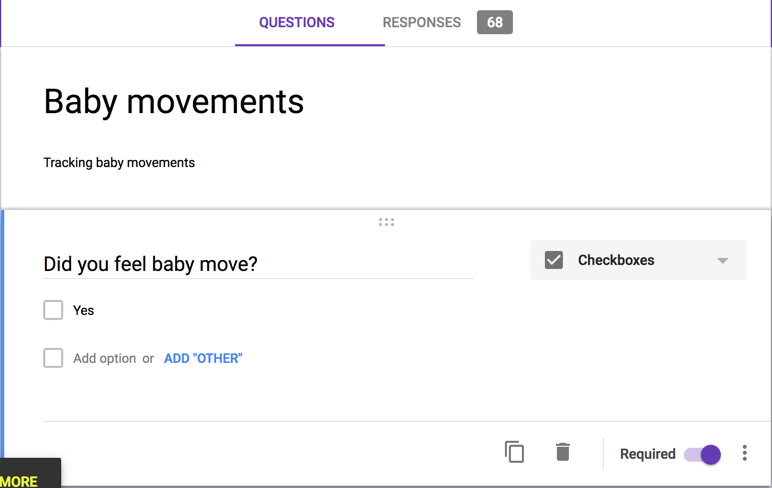 The obvious option for me was to set up a really simple Google Form that recorded in to a Google Sheet. If you've never used Google Forms before, they're a great free tool for conducting surveys. 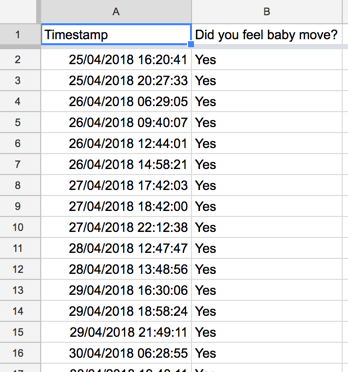 The sheet includes the timestamp when I submitted the form and the answer to the one question. Plus Tableau has a Google Sheets connector. 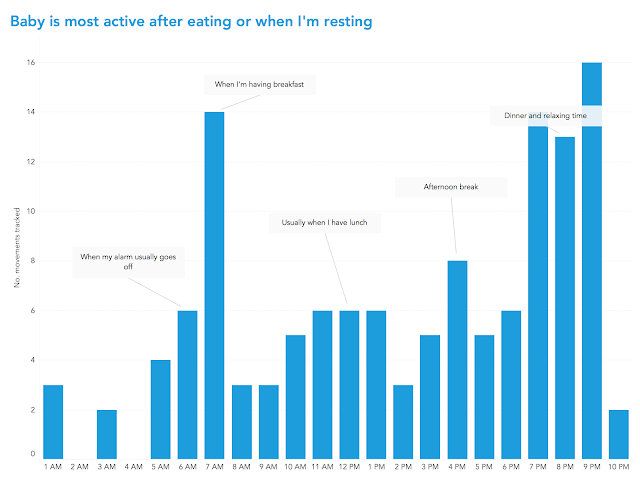 So visualising the responses is really easy to do. Google Sheets is a native connector in Tableau Desktop. 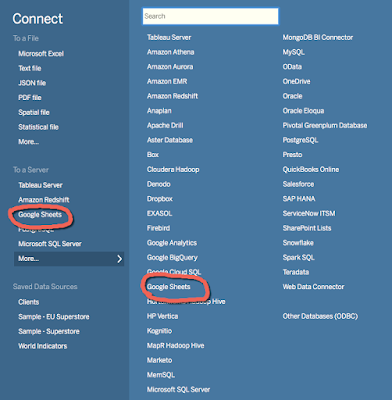 All you have to do is log in with your Google account and give Tableau permission to connect. You can even schedule this connector to refresh on Tableau Server, Online and Public. So your data is always up to date. Check out the video of my talk in this blog post.